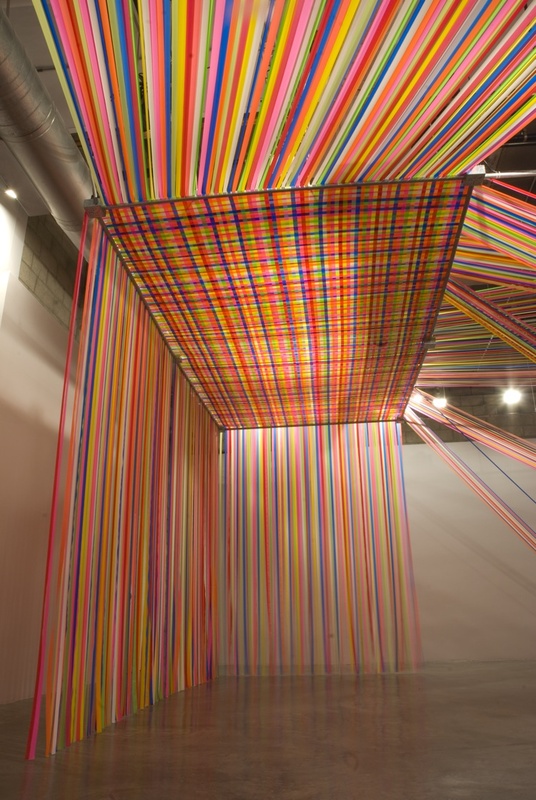 An installation of woven rainbow-stripe ribbons has opened at the Pasadena Museum of California Art. 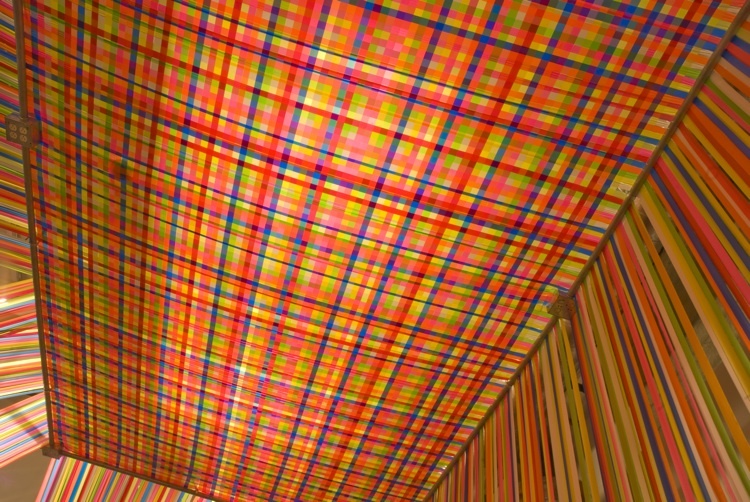 It’s like a giant swatch of plaid! On acid! 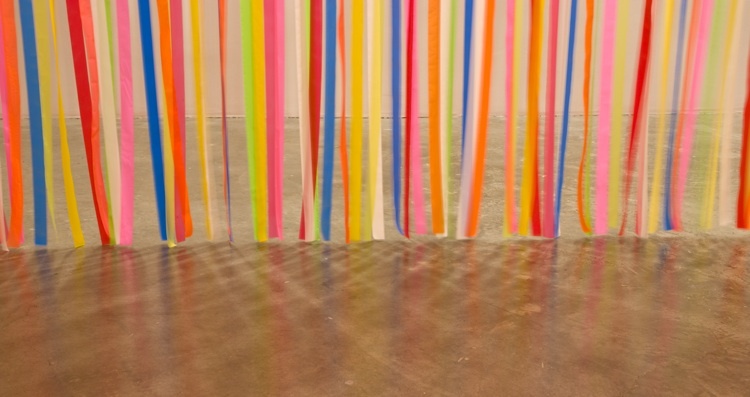 The installation, by artist Megan Geckler, is made up of thousands of strands of flagging tape, a non-adhesive plastic ribbon that surveyors use to mark off construction sites. 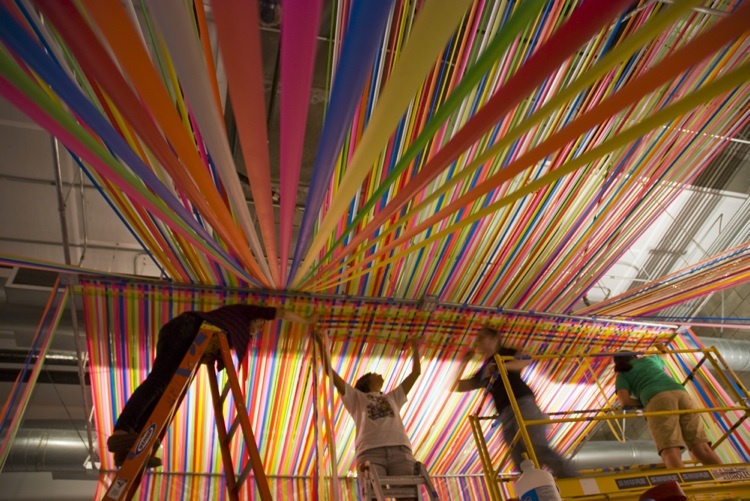 It was built for the museum’s California Design Biennial 2010: Action/Reaction. 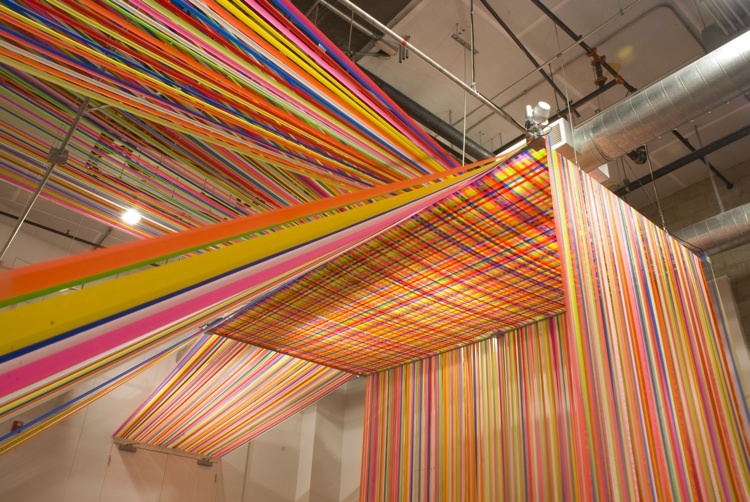 The installation is on view ’til October. A lot of Geckler’s work is “custom-built and site-specific — definitely not typical sculpture,” she says. 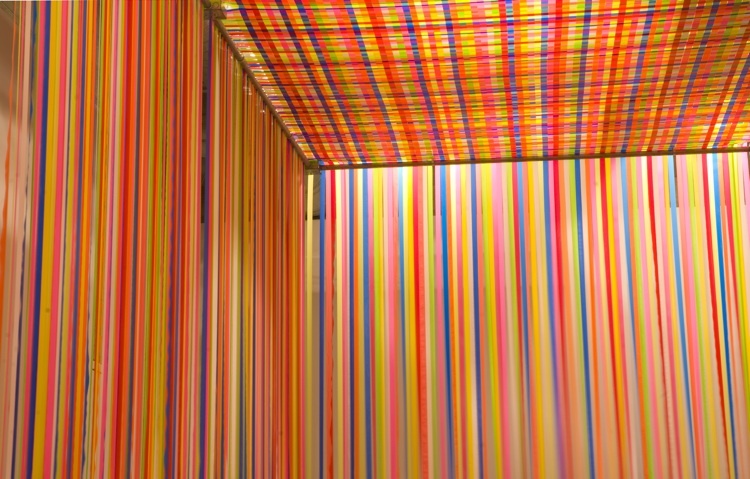 This piece riffed off the museum’s overhead lighting grid, which became the framework — almost like a weaving loom — for the plaid. Apparently, it took more than 700 hours (and 20 people) to throw up. It all feels very Californian to us: fun, moony, studiously uncomplicated. 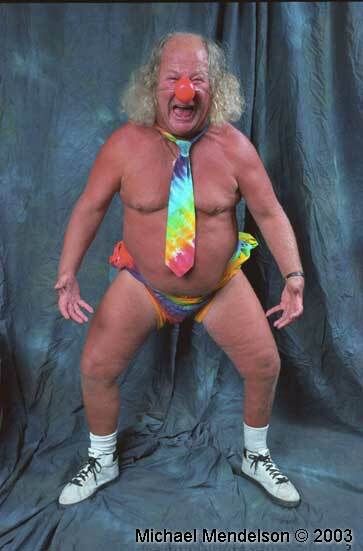 We wouldn’t be surprised to find Wavy Gravy here. 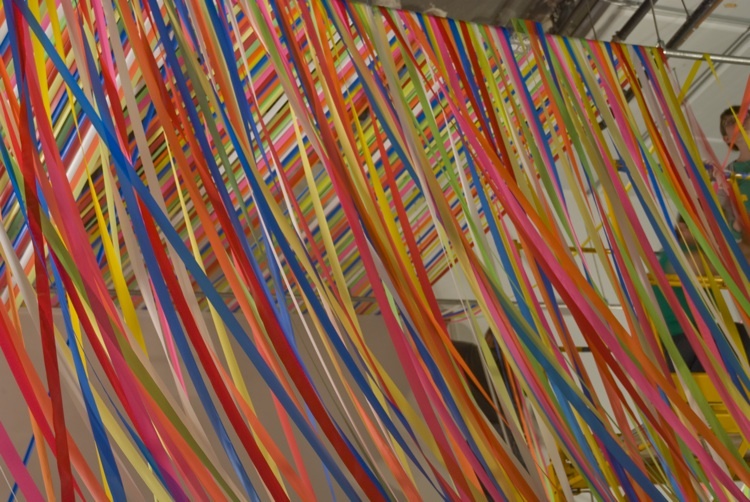 Click here for more FastCompany.com coverage of fun with tape.